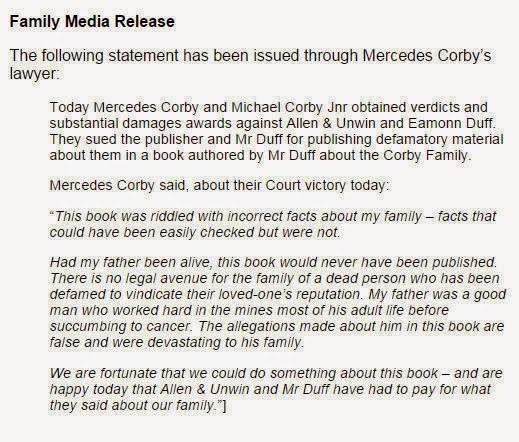 On 29th August 2014 the Supreme Court awarded costs and substantial damages to Mercedes and Michael Corby for an entire series of fabrications, which had been published in Eamonn Duff's book, 'Sins Of The Father'. 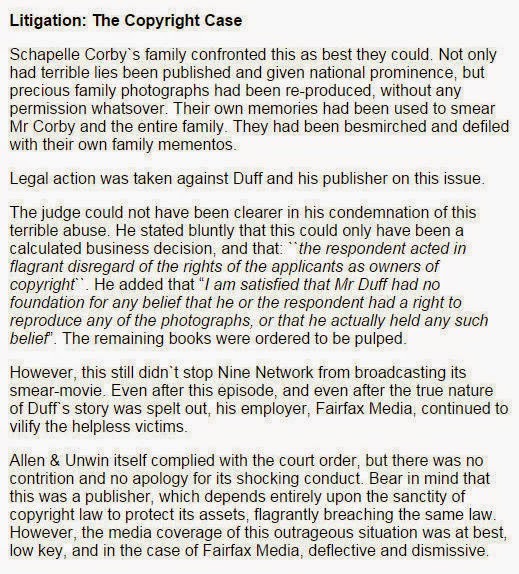 The book itself had already been been pulped, having flagrantly breached copyright law, by using family photographs to support its false contents. 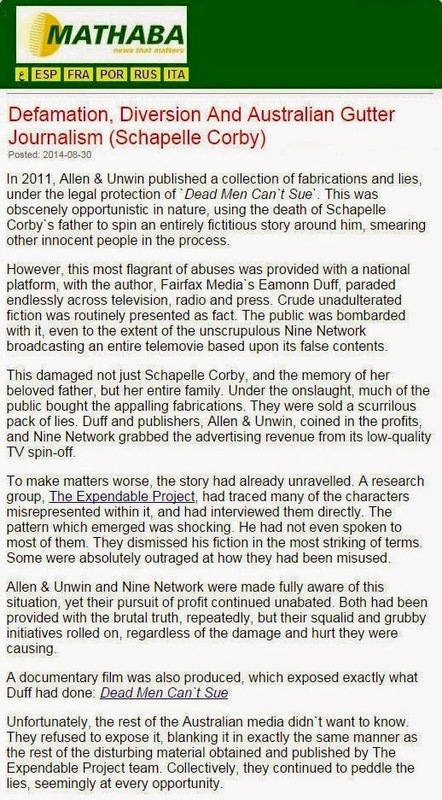 The story below, published by Mathaba News International, outlines the entire case, including how the mainstream media had heavily promoted the damaging fiction, long after it had been debunked and discredited. 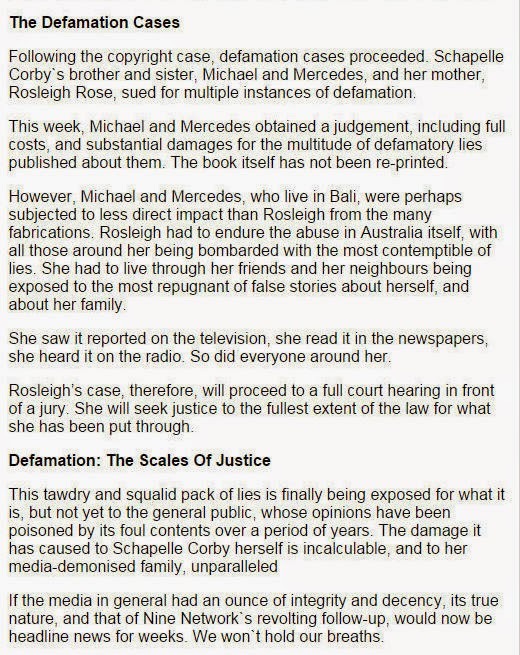 The outcome of the defamation case itself was barely reported.